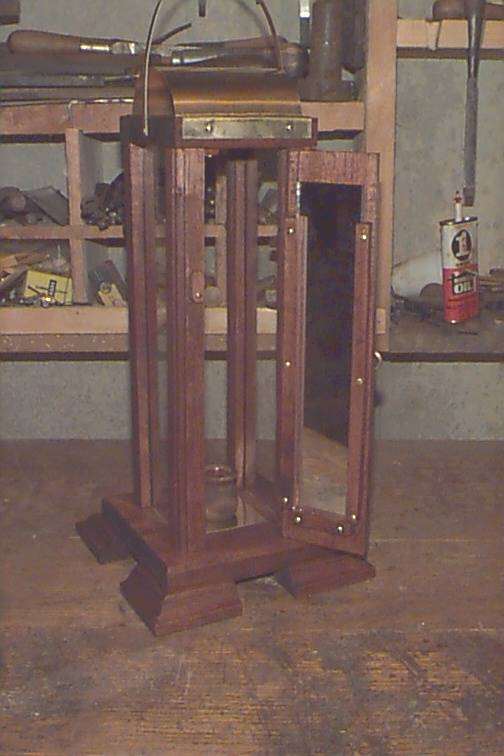 is made of red mahogany, the lamp is sitting on a section of the plank. 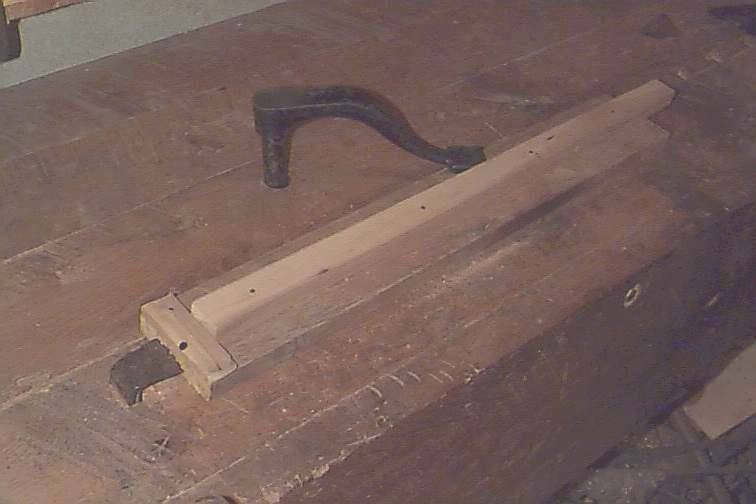 most part was fairly straight grained. 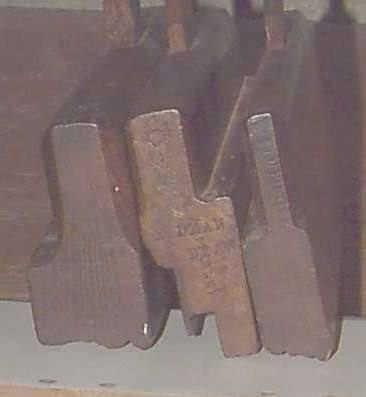 On the left are the complex used on the foot, the match plow and the ovolo. On the right is the Iohn Green plow. 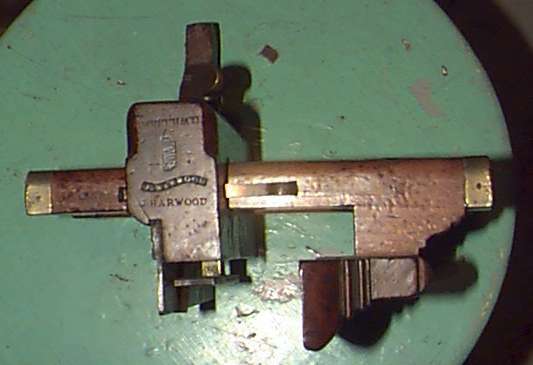 skew rabbet (H. Chapin Union Factory 1 1/2 inch) was used throughout. 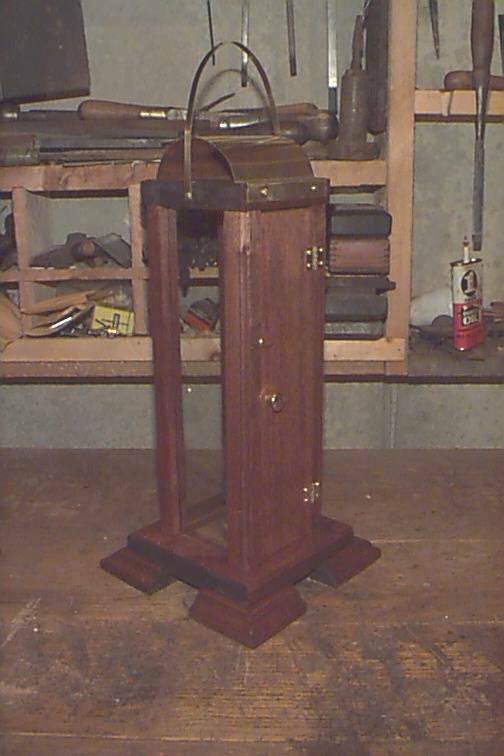 The moulding jig along with my holdfast and planing stop is in the right picture. 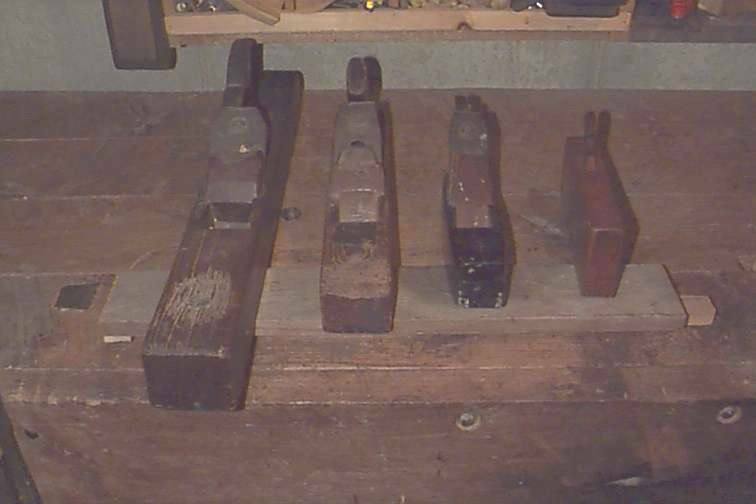 The four bench planes I used are on the right. because of problems that someone reported to me with them cracking due to expansion. 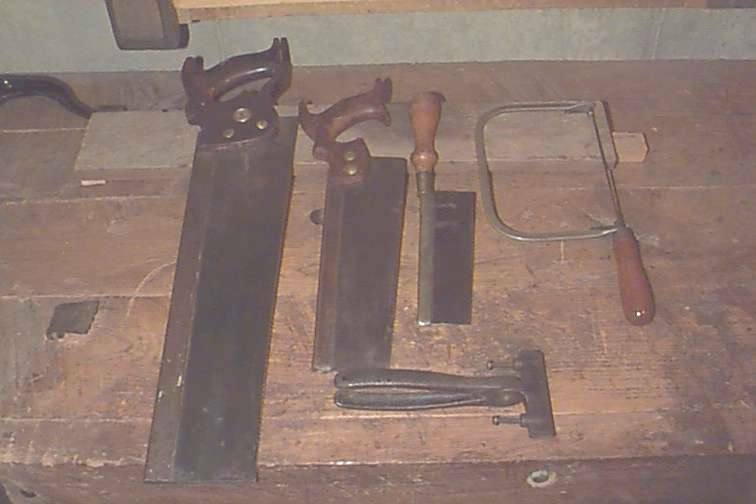 The usual reportoire of saws used on this project. 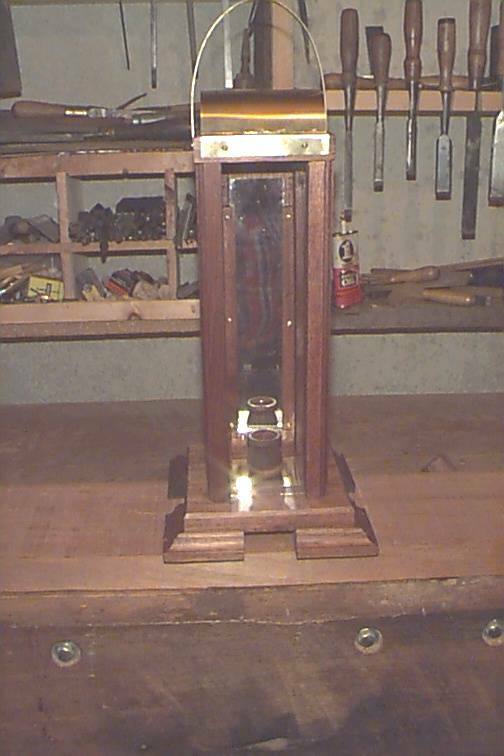 The pliers type device is what I used for making the bends in the brass hood. 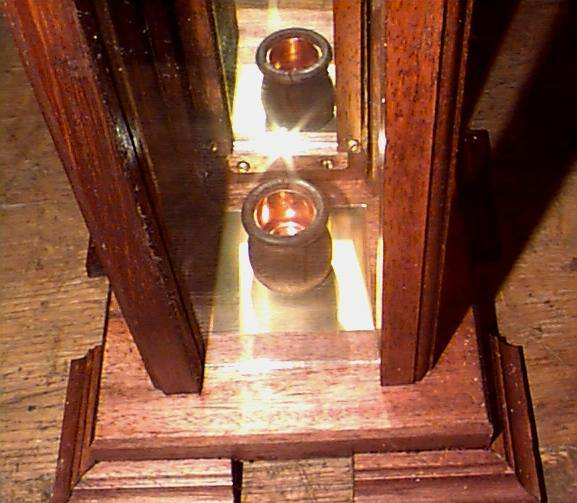 of side to side play and the top is open to allow for the mirror expanding under the heat of the candle. wax formula (see Formula ). Total time was over 20 hours.